Tonight is the big night and I’m serving up some delicious treats for your Idol viewing party. All season long I’ve had the pleasure of posting my recipes on Reality Rocks, by the hip rocker herself, Lyndsey Parker. Today I’m proud to announce my finale recipes were featured on Yahoo! Music’s home page! 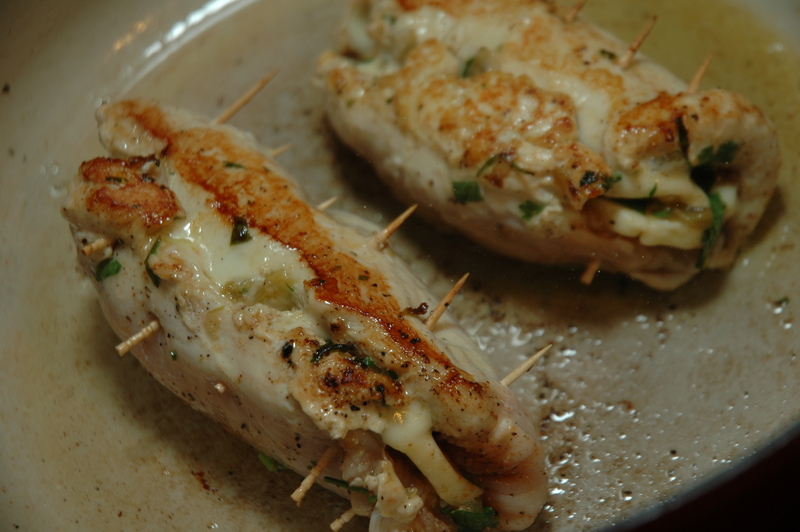 So take a look at recipe number one, Southwest Chicken Pinwheels! I’ll be posting the other two recipes shortly so check back! 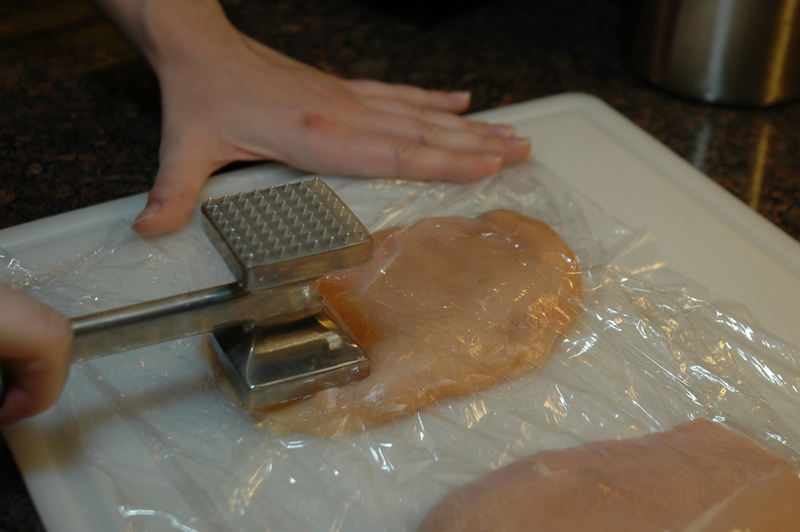 On a large cutting board lined with plastic wrap, pound the chicken breasts until nice and thin. 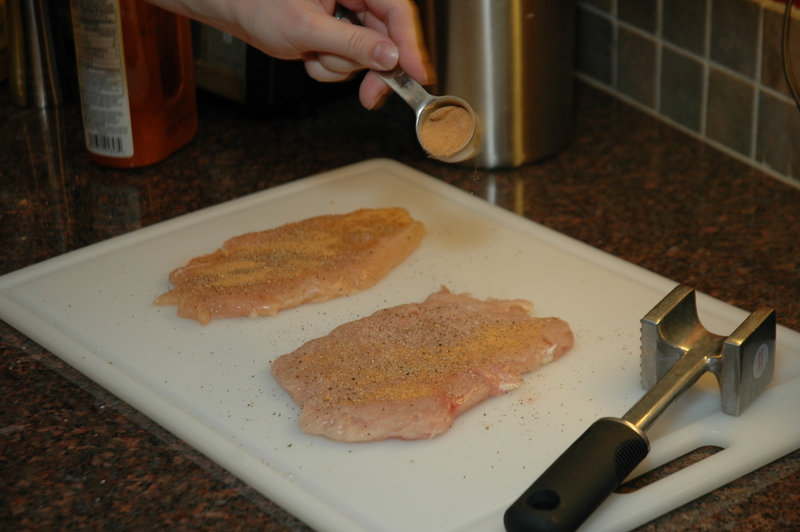 On one side only, season with the salt (lightly), pepper, and taco seasoning. 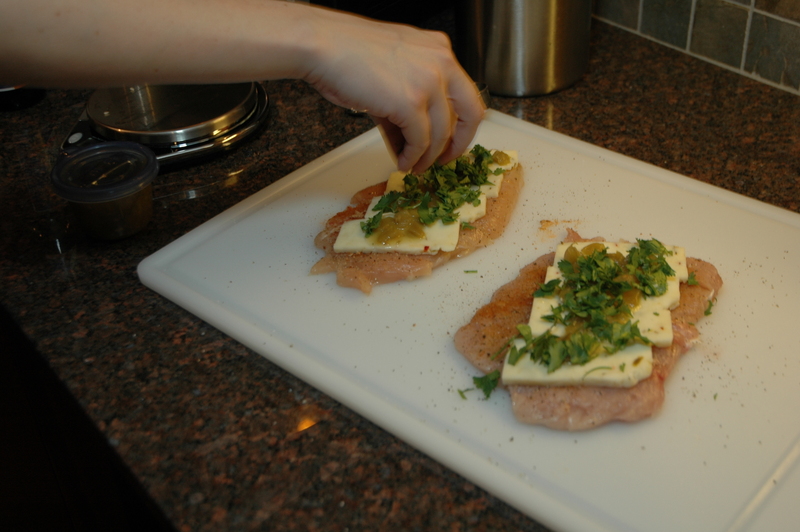 Layer with the sliced pepper jack, green chiles, then top with the cilantro. 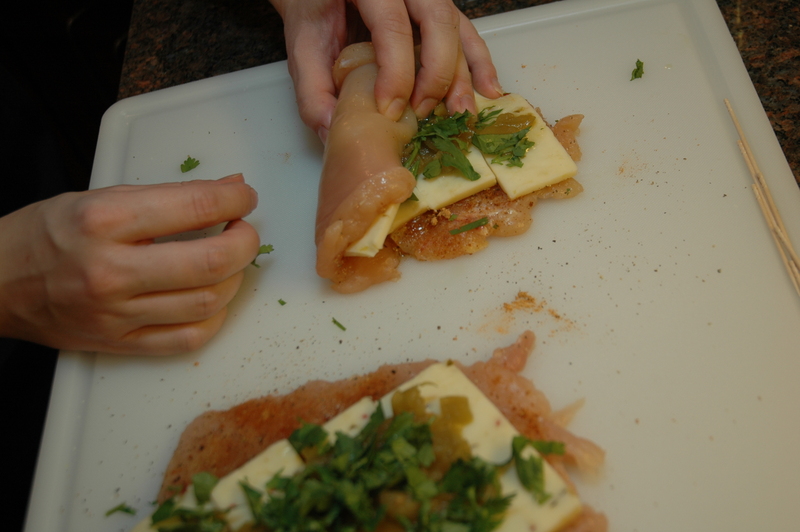 Gently roll up the chicken breast. Secure with kitchen string or toothpicks. 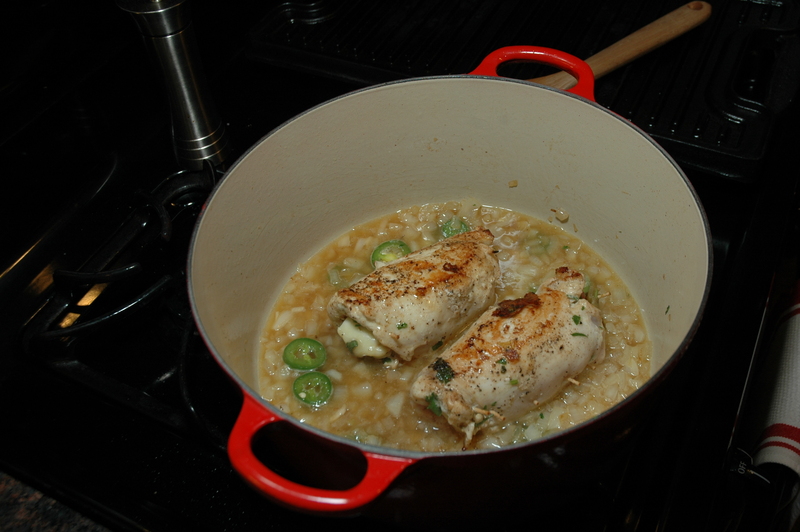 Heat the oil in a large Dutch oven over medium-high heat and brown the chicken breast on both sides. Remove from the pan and set aside. 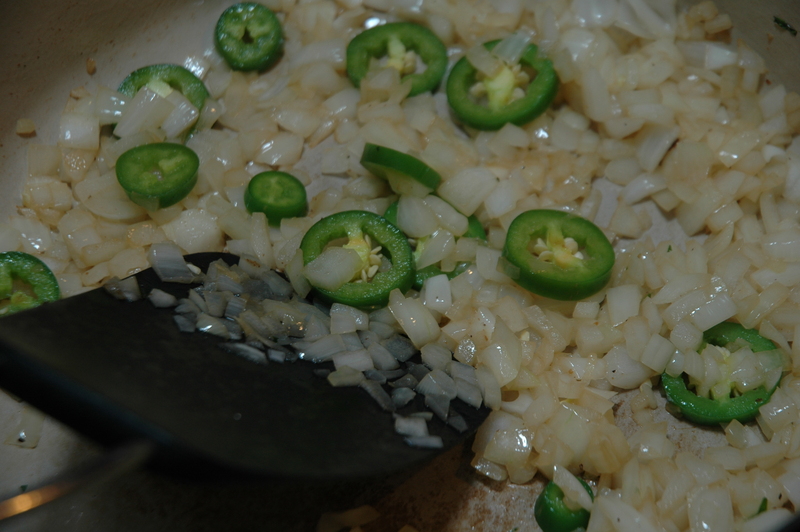 Sauté the onions until translucent then add the jalapenos. 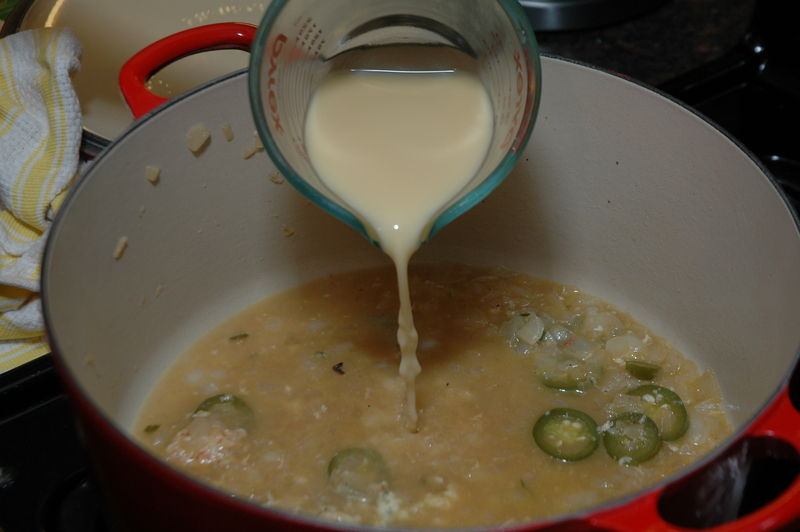 Add a cup of the chicken stock and bring to a boil. 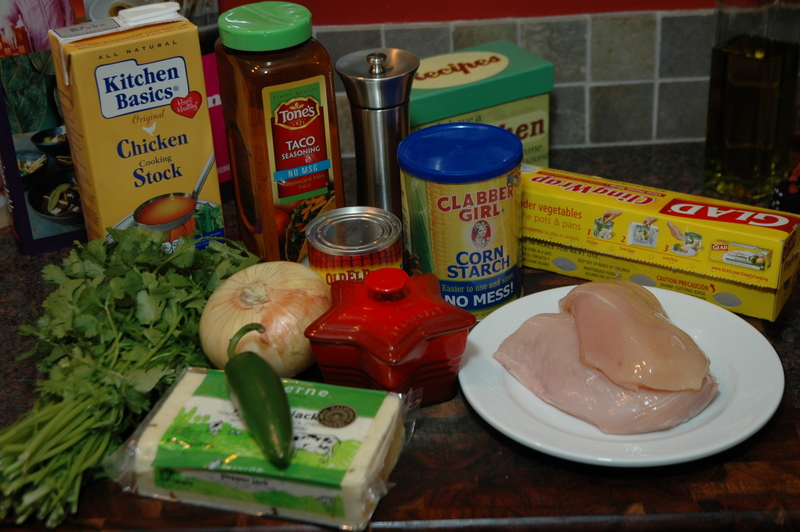 Reduce to a simmer and return the chicken to the pan. 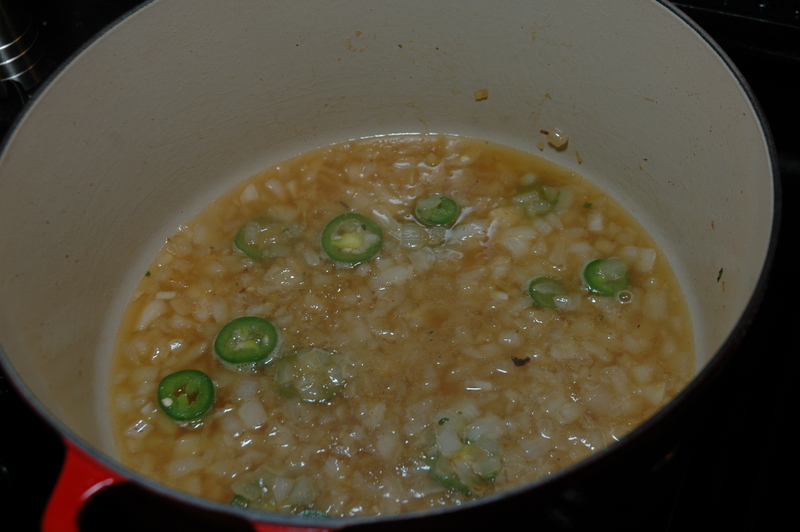 Cover and simmer until the chicken is completely cooked through (8-10 minutes). 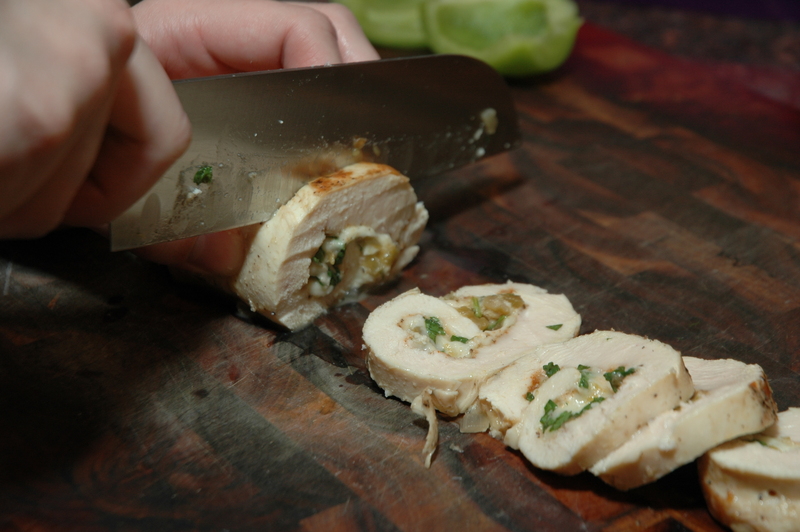 Remove the chicken from the pan and cover with foil. 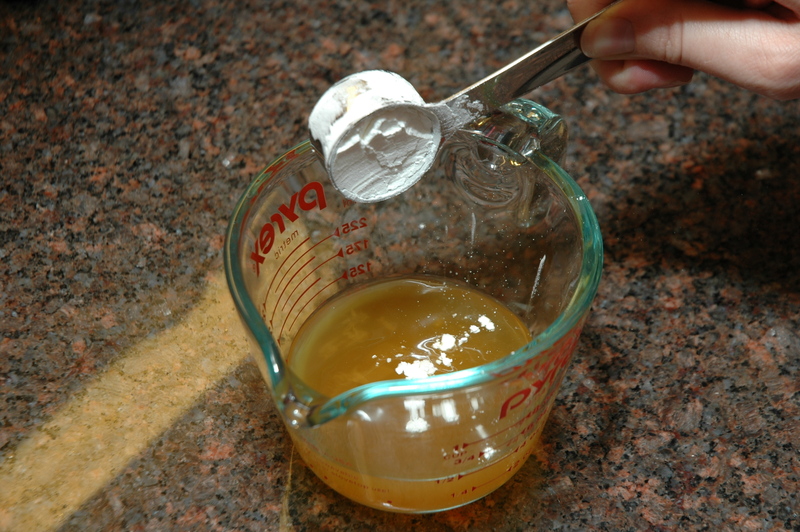 Whisk the remaining half a cup of chicken stock and corn starch in a small bowl. Add to the sauce in the pan. 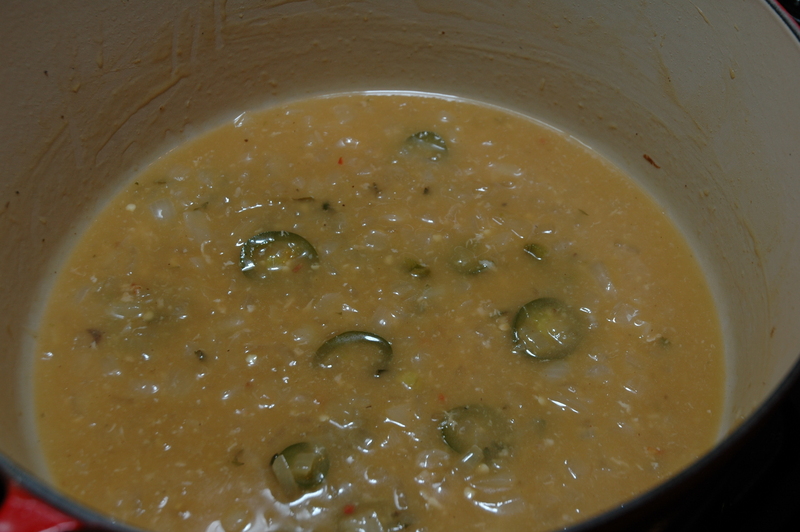 Cook the sauce until slightly thick, stirring occasionally. 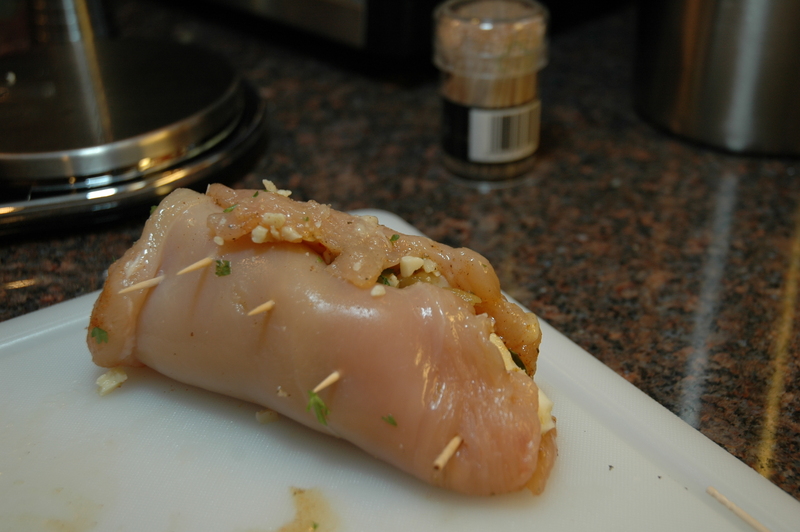 Slice the chicken breast into pinwheels. Place on a serving platter covered with the sauce. Garnish with a few cilantro sprigs.